This Literacy resource page is intended to assist State Operated Programs’ teachers and education staff find quality resources and lesson ideas on the web. The following links and documents have been provided to meet the needs of the specific population and classroom environments found within Virginia’s State Operated Programs’ education centers. Vocabulary Their Way: Word Study with Middle and Secondary Students Dianna R. Townsend, Donald R. Bear, Francine Johnston, Kevin Flanigan, and Shane Templeton This is a great resource for vocabulary ideas and strategies focused on secondary education. It gives examples of vocabulary learning and instruction through context-based instruction, word-specific instruction, and generative morphology instruction. The book also shows how vocabulary instruction and word consiousness can be infused in all disciplines, not just English. In a Reading State of Mind: Brain Research, Teacher Modeling, and Comprehension Instruction Douglas Fisher, Nancy Frey, and Diane Lapp This is a small book that could be used as a book study for content area teachers. It provides insight into the research behind teaching reading in the content areas (including brain research and reading comprehension processes) as well as specific strategies to help with modeling comprehension, vocabulary, text structure, and text features. Power Tools for Adolescent Literacy Jan Rozzell This book provides strategies and reproducibles in the before/during/after reading format as well as writing and vocabulary. The strategies can be applied to all disciplines and are described well so that teachers can apply them easily. It’s an excellent tool to help teachers understanding reading comprehension strategies like asking questions, visualizing, determining importance, synthesizing, etc. NDTAC http://www.neglected-delinquent.org/ This website provides access to several reports on literacy instruction for students in juvenile justice facilities as well as webinars, statistics, and other educational resources. What Content Area Teachers Should Know about Adolescent Literacy https://lincs.ed.gov/publications/pdf/adolescent_literacy07.pdf A report by the National Institute for Literacy that addresses middle and high school classroom teachers’, administrators’, and parents’ immediate need for basic information about how to build adolescents’ reading and writing skills. Protocols http://www.nsrfharmony.org/free-resources/protocols/a-z These protocols are easy to follow and can be taken from professional development into the classroom if the teachers like them. They explain the steps to having a book discussion, fish bowl, debate, student work sharing time, and hundreds more activities to use during a professional learning time. Scholastic’s Book Wizard http://www.scholastic.com/bookwizard/ The ‘books and authors’ tab will show you the latest book lists, author and illustrator interviews and the ‘book wizard’ which allows you to put in the name of a book and see similar books on that reading level or Lexile level. See the ‘Librarians” tab for book talks and noteworthy books. Teensread Newsletter Teenreads.com Teenread.com is one site in the Book Report Network. TBRN includes thoughtful book reviews, compelling features, in-depth author profiles and interviews, and excerpts of the hottest new releases. Be sure to check out the “Ultimate Book List” tab if you are just starting to build your library collection or you want to be sure you have included some of the best teen books in your library. Booklists by American Library Association http://www.ala.org/awardsgrants/awards/browse/bpma?showfilter=no All things library…The ALA website provides resources, award lists, fact sheets and advocacy information for libraries and librarians. Do you need information on setting up a school library? See ‘Fact Sheet 16b’ on the ‘Professional Tools’ page. Choosing new books for your library? See the ‘Book, Print and Media Awards List” on the ‘Awards and Grants’ page. Be sure to check out the ‘Best apps for teaching and learning list’ too. International Literacy Association http://www.literacyworldwide.org/ Members have access to scholaraly articles, interdisciplinary units, research, books, and many other resources relevant to literacy. 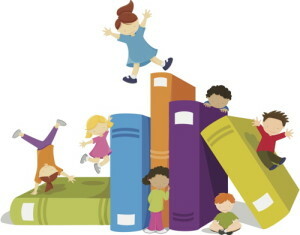 Virginia State Reading Association https://www.vsra.org/ “VSRA is a professional organization actively engaged in promoting literacy throughout Virginia. We support our community by sharing current instructional strategies and research. We advocate for the elimination of illiteracy in our state.” Some especially helpful tools on their website include a list of resources especially relevant to Virginia and reading, information about their annual conference, and a link to the subgroup of the Virginia Council of Secondary Reading Teachers (their website is a gold mine of helpful links and contacts for secondary literacy in Virginia). Association for Supervision and Curriculum Development (ASCD) http://www.ascd.org/Default.aspx This is an excellent organization and has wonderful resources and great staff development. Through their website you can access many great research articles on implementing literacy at the secondary level, including one called “Taking Action on Adolescent Literacy.” The Virginia ASCD Conference is an excellent opportunity to access new resources, hear dynamic speakers, and network. Adolescent Literacy in Perspective http://www.ohiorc.org/orc_documents/orc/adlit/inperspective/2009-03/in_perspective_2009-03.pdf This is an issue of Adolescent Literacy in Perspective with a spotlight on Literacy Coaching. I found it especially helpful being new to the position of “Literacy Coach” and used it to help create my facility’s Literacy Action Plan. Meeting the Challenge of Adolescent Literacy: Practical Ideas for Literacy Leaders Judith Irvin, Julie Meltzer, Martha Jan Mickler, Melvina Phillips, Nancy Dean This book is especially helpful for new literacy coaches as they create their literacy plan at their school. It contains several reproducible questionaires to use with the school as you decide what areas of literacy to focus on at your center. Word Journeys and Word Sorts and More Ganske This is a go-to sources for our lowest struggling readers to help with their understanding of phonics. These books include the assessments and lessons. You can have the sorts pre-cut and reuse them with several students. Florida Center for Reading Research www.fcrr.org FCRR has center activities for fluency, phonics, and comprehension as well as comprehension lessons through the fifth grade level. Each lesson includes printable games and activities to support remediation in reading. Reading A-Z https://www.readinga-z.com/ This is a paid subscription service that has leveled printable books with lesson plans and activities through the fifth grade level. Many of the books are on topics that will support the student in content area classes and come with activities and quizzes. The books are able to be printed when you need them so that students can write in them and keep them if you desire. SERP Word Generation http://wordgen.serpmedia.org/ This is an excellent resource for general reading AND content areas. Every unit contains several lessons focusing on specific vocabulary words and skills. Interventions for Adolescent Struggling Readers: A Meta-analysis with Implications for Practice http://www.rti4success.org/sites/default/files/coi_struggling_readers.pdf A report put out by the Center On Instruction in 2007 for which interventions work best with adolescent readers. It includes sections on special education students and how this should influence our practice in working with struggling adolescent readers. Effective Reading Programs for Middle and High Schools: A Best-Evidence Synthesis http://www.bestevidence.org/word/mhs_read_Jul_2008_RRQ.pdf This article synthesizes research on reading intervention programs. Kids Discover www.kidsdiscover.com An ward-winning library of science and social studies material available on any device, at any time, for one low price. Offers 3 Lexile ® Reading levels that take into account grammar, vocabulary and sentence length. Features beautifully crafted non-fiction articles. Newsela www.newsela.com Newsela is an innovative way to build reading comprehension with nonfiction that’s always relevant: daily news. The articles are available in 5 levels and there are quizzes and text sets. It is free but a Pro subscription is available for a fee. Read Works www.readworks.org The non-profit ReadWorks is committed to solving the nation’s reading comprehension crisis by giving teachers the research-proven tools and support they need to improve the academic achievement of their students. ReadWorks provides research-based units, lessons, and authentic, leveled non-fiction and literary passages directly to educators online, for free. Read Write Think www.readwritethink.org Read Write Think provides educators with access to the highest quality practices in reading and language arts instruction by offering the very best in free materials. All content is reviewed and approved by literacy experts who understand best practices and know what works. Membean http://membean.com This tool employs active learning in a game-like format to overcome short attention spans and build word consciousness. Membean features audio, video, word pictures, and more than seven different ways of learning a word. Student learning programs are based on individual skill levels and speed of progress. The CEO is willing to adjust per pupil fees to account for SOP student numbers. Free trial is available. Find It VA http://www.finditva.com Find It Virginia is a collection of databases that provide access to resources such as newspapers, magazine and journal articles, and books such as encyclopedias. Materials are available for all age ranges and interests. A Virginia public library card is required to use these resources. Reading Quest www.readingquest.org Originally designed as a resource for social studies teachers, ReadingQuest provides philosophical bases for sound comprehension strategy instruction, directions for a range of comprehension and content reading strategies, and printable handouts. Free. SERP Word Generation http://wordgen.serpmedia.org/ Developed with the Boston Public Schools in 2007, SERP’s original Word Generation program includes weekly units about controversial topics each with brief lessons for middle school teachers in all academic subjects. SERP has also recently created extended units of study about a variety of social studies and science topics. Fourth and fifth grade units are now available as well. Free. Flocabulary https://www.flocabulary.com/ Flocabulary is a web-based learning program for all grades and subjects that uses educational hip-hop music to engage students and increase achievement. Flocabulary’s standards-based videos, instructional activities and formative assessments develop core literacy skills and supplement instruction across the curriculum. Plans include pricing for Teachers, Schools, and Districts. Free trials are available. Common Lit http://www.commonlit.org/ Common Lit provides leveled texts 5th through 12th grade and is organized by theme, which can be applied to most content areas. It’s made in partnership with Harvard and Teach for America to support teachers with FREE texts along with text based and higher level thinking questions. eMediaVA http://www.emediava.org/ Virginia’s premier statewide digital media distribution system featuring the best purpose-built educational content available. Brought to you by Virginia’s Public Media Stations* and PBS, eMediaVA is constantly evolving to better meet the needs of Virginia’s teachers and students. What’s even better, eMediaVA is free for all Virginia teachers and students! Vocabulary.Com Vocabulary.com Vocabulary.com uses adaptive technology to offer differentiated vocabulary instruction to students at all levels. It continuously assesses each student and focuses their efforts on words they need to learn. We identify the words students are having the most trouble learning, and work with them until they achieve mastery. Available by district subscription. Read Actively http://www.activelylearn.com/ A free interactive reading platform that makes it possible to implement best practices for teaching and learning. This website allows teachers to have students read, answer teacher-written-questions, receive teacher feedback, and mark texts online. Students can highlight text to have it read aloud to them. There are hundreds of science content, history content, and current event articles to choose from. there are several plans, including one that is free. Literacy for the 21st Century: A Balanced Approach Gail E. Tompkins Literacy for the 21st Century models how to execute the principles and processes recognized by the field as exemplary practice. The text features authentic classroom teaching models with student artifacts, minilessons, and four core instructional approaches for developing literacy skills. Chapters focus both on reading and writing processes and discuss how to develop fluent readers and writers, how to facilitate comprehension, how to organize for literacy instruction and how to use a variety of assessment procedures to document student learning. Classroom Strategies for Interactive Learning Doug Buehl This book features 45 literacy skill-building strategies for middle school through high school educators that emphasize effective learning in content contexts. Teachers will find innovative ideas for working with diverse classrooms and with students who exhibit a variety of learning needs. Strategies in the book are each readily usable for teachers outside the reading field.